William Blake’s reference to ‘dark satanic mills’ in his Jerusalem poem, conjures up negative connotations of the industrial revolution and the impact it had on the lives of ordinary people. Workers toiled away for long hours in dirty factories, with little time for leisure, contemporary commentators suggested. Machines controlled employees’ daily lives and destroyed family life. And there were clear winners and losers – the owners of factories and the workers respectively. This was capitalism at its very worst. Aside from Blake’s poem (which some say wasn’t even referring to the industrial revolution at all, but instead the Orthodox churches of the establishment), there’s a plethora of literature and journalism describing life for so-called ordinary people in the 19th century. Perhaps best known was the work of Frederich Engels who drew on two years’ observation of living conditions in Manchester in the early 1840s to produce the left-leaning The Condition of the Working Class in England. Others, like Arnold Toynbee, who came up with the term “industrial revolution” in the 1880s (describing it as a “disastrous and terrible event”), highlighted how creating vast wealth for a few was leading to the masses being degraded.But was this negative take on the industrial revolution the reality for all? I’ve just finished reading Emma Griffin’s excellent book Liberty’s Dawn: A People’s History of the Industrial Revolution, which has recently come out in paperback. While previous accounts of the period have been from contemporary writers (coming with their own agendas and prejudices) relying a narrow range of original sources and statistics, Griffin conducted a thorough analysis of 350 working class autobiographies. Surprisingly, while the authors wrote about many of the difficulties that life brought for them, they were in many cases quite upbeat. For some wages increased and there was more of a certainty of work as they moved from working in purely cottage-based industries and farms and into factories and bigger communities. It was perhaps appropriate that I started reading Griffin’s account on my recent visit to the Derwent Valley (see my blog from last week) in Derbyshire as for historians this was where the factory-system and a new kind of industrial community was born. 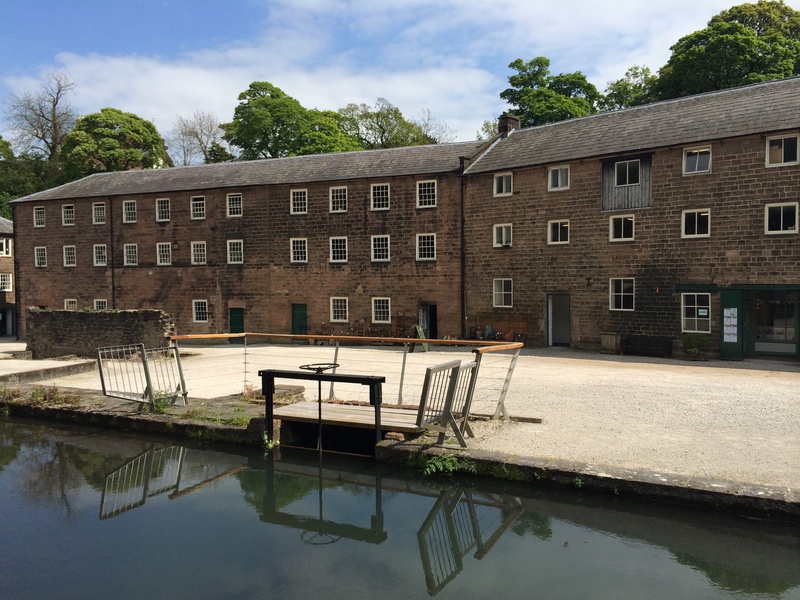 Walking around the former mill buildings and village in Cromford, it was clear that life would have been tough for many, but workers did have good quality housing. The fact that the late 18th century houses in North Street are still standing and lived in today is evidence that they were well-built. 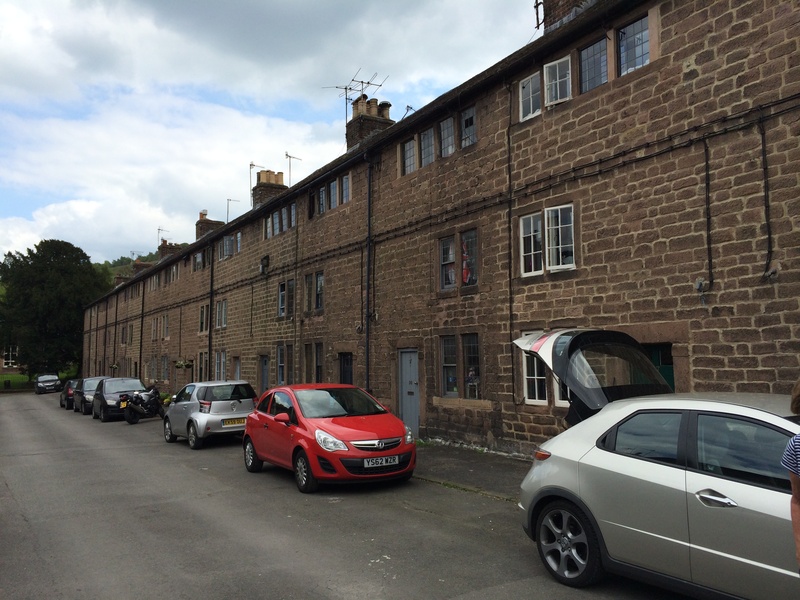 The top-floor of these properties had a number of windows so that the adult males in families had plenty of light so they could work as weavers while wives and children earned salaries in Arkwright’s mills nearby. 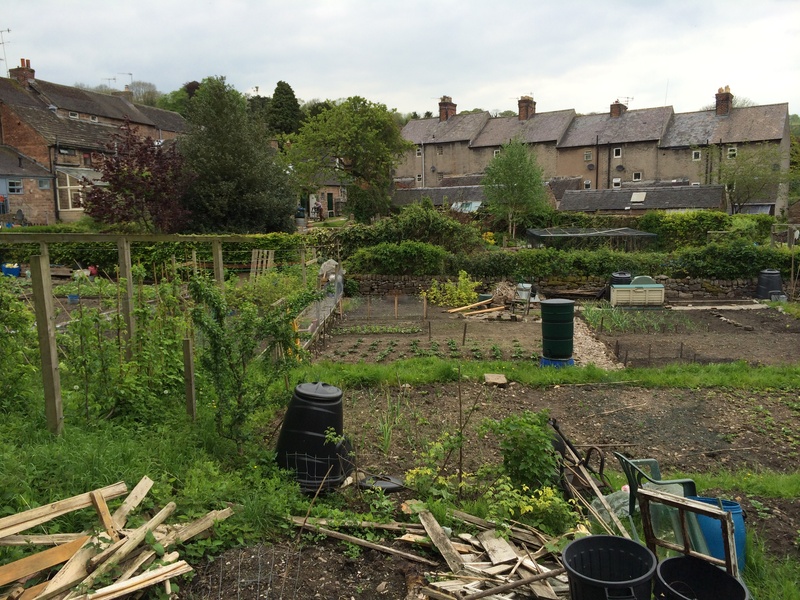 Behind the properties were allotments allowing householders to grow their own fruit and vegetables. 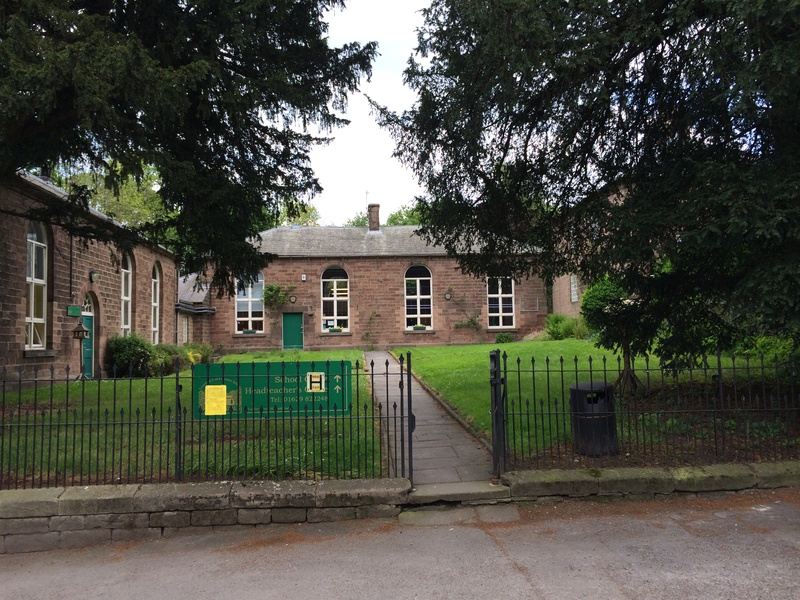 And at the end of North Street was a school, paid for by Arkwright (partly to fulfil obligations resulting from new factory and education Acts), providing the children who worked in his mills some form of education. This shift also brought a plethora of new jobs including working in warehouses, repairing machines and keeping accounts i.e. beyond just making things. And outside the factory, the associated rise of larger communities also brought work opportunities, such as in shops and entertainment venues. Many benefitted from this effect of economies of scale. In other professions, opportunities were opened up to wider society. For example Griffin found that in the early 19th century tailors and shoemakers were more likely to learn their skills outside costly apprenticeships. They therefore no longer needed to pay expensive premiums to employers and be tied to binding contracts, but could learn on the job. This point of variation is something that I’ve noted as I’ve visited other early industrial communities in Britain. For example, while Arkwright may have been seen as a paternalistic employer, not all were regarded as the same. Titus Salt, who built Saltaire on the outskirts Bradford, was a hard task master. Living conditions were much better than workers had experienced in the slums they left; but they paid for the privilege. And just as Salt kept all the rent, he also profited from the spending of all shops in the village that he owned. In reality, it’s not possible to have one view of the industrial revolution.